Monthly Security Brief Archives | Cyber Security for Small businesses held at the Washington Post Live Center on Oct. 2, 2018, are terrifying. Every small business owner needs to seriously consider what would happen to their business if the energy grid goes down. By working with a single-solution provider like Sentree Systems, a cost-effective security program can be put in place that reduces wastefulness and gets the job done. Email info@sentreesystems.com or call 317-939-3282 to schedule an IT security review.International cyber wars have been in the news a quite a bit lately. Countries are attacking other countries. Computer servers are being hacked by sophisticated government operations. Identity theft is now so rampant that the theft of an American person’s identity happens once every few seconds. A study conducted by Javelin Strategy & Research found that during 2017 about 16.7 million Americans were subject to identity theft. This caused over $17 billion in losses from the data breaches. Businesses are not immune to these attacks either. North Korean cyber attackers are thought to have hacked cryptocoin currency exchanges in South Korea and Japan. They got away with stealing the equivalent of tens of millions of dollars. Then, the perceived technical vulnerabilities of the cryptocurrency exchanges caused the value of all of the cryptocurrencies to decrease rapidly. About half of the value of all the cryptocurrencies disappeared in less than a few weeks, which represented more than $42 billion in lost value that evaporated during June 2018. The most popular one, Bitcoin, suffered the greatest loss of value. 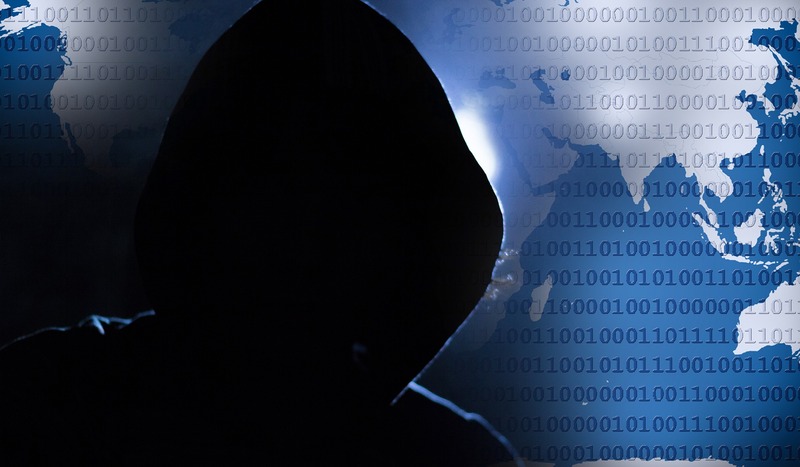 Other cyber-criminal hackers distribute a vicious form of malware called “ransomware” that infects computers, encrypts the files, and then the hackers demand payment in anonymous cryptocurrency for the key needed to unlock the files. They promise to send the unlock keycode for payment; however, they may not send it, even if the ransom is paid. Businesses that make use of bank wire transfers are seeing attacks that divert funds from their business account. Hackers get the information they need by doing “spearfishing” with keyloggers to capture personal information. They get the passcodes to bank accounts or simply use an email that seems to come from the boss to instruct a worker in the company to make a payment to the criminals. This is an important warning for the big businesses, as well as for the small-to-medium-sized businesses, which are located in the service area for Sentree Systems in Indiana. This includes the cities of Avon, Carmel, Fishers, Indianapolis, Noblesville, Plainfield, and the surrounding areas. You need Sentree Systems on your side to fight this menace. World War III has already started and it is a cyber war. The attacks do not even need to directly focus on your company to cause great harm. They can be against critical infrastructure, electrical power grids, banking networks etc. All of these attacks can be disruptive and damaging to every business that uses these systems. Having high-defense IT security and a comprehensive plan for disaster response for your business is no longer something that can be left to do some time in the future. In fact, this needs to have already been done and regularly updated for the ongoing and upcoming threats. Contact Sentree Systems at 317-939-3282 or email info@sentreesystems.com to set up an appointment for a comprehensive IT security review to help mitigate the serious risks that all American businesses are now facing.New privacy and data security rules are now in effect for any company that has some of its operations in Europe or has some customers from there. The European Union (EU) passed a law called the General Data Protection Regulation (GDPR) that requires businesses to give EU customers more control over how their personal data is collected, what permissions are required for a company to use it, and what can be done with the information. This law went into effect on May 25, 2018. Any American company that has customers from the EU needs to be in compliance with the GDPR regulations. It is likely that over the next few years similar regulations will be imposed by the U.S. government on companies in the USA as well. The GDPR law is in response to the continuing problem of data breaches being experienced by many companies including large online retailers and companies that are tech giants. Facebook got into serious trouble over the Cambridge Analytica data hack of its system. Under the GDPR rules, any company that has any data on any person from the EU must notify regulators within 72 hours of the discovery of a major data breach. This means that even U.S.-based companies need to be in compliance if they have an office in the EU, share data with a company there, or have online customers from the EU. Another new GDPR rule requires companies to make it very easy to opt-in and opt-out of data collection. Companies who fail to do this correctly face a fine of up to 4% of their annual level of global sales or about $23.5 million, whichever is a greater amount. The new GDPR rules are considered the best practices. Many American companies are taking the proactive stance to be in compliance with GDPR regulations even if they are not required to follow the GDPR rules by law. Work with the experts at Sentree Systems Corp. to find out how to change information collection, storage, and usage procedures to be in compliance with the new GDPR rules. Not all things need to be online. In fact, there are some systems and information that should never be online and instead be secured by a private offline network. This strategy is known as using an “air gap” between systems and the public Internet. Data breaches are a serious problem that puts every business at risk. Personal medical records are very vulnerable and the dangers are increasing. 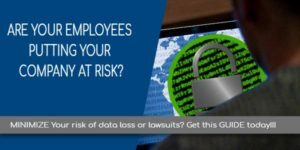 Proactive strategies to reduce this risk include conducting a data security Risk Assessment, implementing a data loss prevention solution, and advocating that the best practices are used for data security by affiliates, contractors, and business partners. Contact Sentree Systems for a Risk Assessment to improve security and reduce the chance of a serious data breach.When it is used properly, encryption is a valuable tool to help reduce data security breaches. Most business owners and C-level executives know something about the general topic of encryption; however, comprehensive data security reviews consistently show security problems that can be reduced by following the best-practice strategies regarding how to use encryption. Every organization benefits from encryption. Encryption is more effective when it is used comprehensively and always in place. During any part of the data processing, if the data is unencrypted, this creates a point of risk exposure. For example, if a user with authorized access uses an encryption key to decode some encrypted data and then leaves a copy of the unencrypted data on a laptop that they take home, suddenly the entire system is at risk. Encryption is made totally ineffective if an unencrypted copy of the database is on a laptop that can be hacked or stolen. Just because data is encrypted, does not necessarily mean it is protected. There have been many examples of encrypted databases being subject to data breaches because even though the database was protected with encryption, those that had the encryption keys that are needed to read the data failed to protect their encryption key. An example of this problem occurred in the loss of millions of dollars of cryptocurrency. This happened because the encryption keys, which are the proof of ownership of those assets, were hacked and stolen. They were kept in a database that was not secured. Since the ownership of cryptocurrency is semi-anonymous, protecting the encryption keys is the only way to control the assets. If the keys are lost or stolen the cryptocurrency is simply gone and nothing can be done about it. To properly implement a comprehensive plan for using encryption effectively, one good strategy is to conduct an IT security review by Sentree Systems that focuses on implementing encryption on a network and protecting the encryption keys.Data security is a viable part of protecting the operations of any business. Think of this analogy. Even if you own a one-bedroom/one-bath home, which is the first home you ever purchased, this does not mean you be lackadaisical about home security. Having an alarm system with solid locks for windows and doors is just as important for your home as these things are in a luxury mansion. Some might even say since your first home probably represents the biggest investment you have made so far in your life, it needs more protection than the luxury mansion owned by a wealthy family that already owns many other homes. The same logic applies to your business. It used to be that IT security was so expensive that only the larger businesses could afford it. Granted, even now, large businesses spend enormous amounts of money on data security efforts because protecting the data from security breaches is so important. However, just because a small business has a modest budget for IT services, this is no excuse for not having a service contract with a high-caliber security firm that specializes in IT data protection. There are economies of scale that help keep the cost of IT protection modest when using a skilled firm. The security specialists concentrate on data protection. That is what they do best. They think about this 24/7 non-stop on behalf of their clients. Things that they notice affecting other small business clients are applicable for almost every customer they help. International cyber wars have been in the news a quite a bit lately. Countries are attacking other countries. Computer servers are being hacked by sophisticated government operations. Identity theft is now so rampant that the theft of an American person’s identity happens once every few seconds. A study conducted by Javelin Strategy & Research found that during 2017 about 16.7 million Americans were subject to identity theft. This caused over $17 billion in losses from the data breaches. Businesses are not immune to these attacks either. North Korean cyber attackers are thought to have hacked cryptocoin currency exchanges in South Korea and Japan. They got away with stealing the equivalent of tens of millions of dollars. Then, the perceived technical vulnerabilities of the cryptocurrency exchanges caused the value of all of the cryptocurrencies to decrease rapidly. About half of the value of all the cryptocurrencies disappeared in less than a few weeks, which represented more than $42 billion in lost value that evaporated during June 2018. The most popular one, Bitcoin, suffered the greatest loss of value. Other cyber-criminal hackers distribute a vicious form of malware called “ransomware” that infects computers, encrypts the files, and then the hackers demand payment in anonymous cryptocurrency for the key needed to unlock the files. They promise to send the unlock keycode for payment; however, they may not send it, even if the ransom is paid. Businesses that make use of bank wire transfers are seeing attacks that divert funds from their business account. Hackers get the information they need by doing “spearfishing” with keyloggers to capture personal information. They get the passcodes to bank accounts or simply use an email that seems to come from the boss to instruct a worker in the company to make a payment to the criminals. This is an important warning for the big businesses, as well as for the small-to-medium-sized businesses, which are located in the service area for Sentree Systems in Indiana. This includes the cities of Avon, Carmel, Fishers, Indianapolis, Noblesville, Plainfield, and the surrounding areas. You need Sentree Systems on your side to fight this menace. World War III has already started and it is a cyber war. The attacks do not even need to directly focus on your company to cause great harm. They can be against critical infrastructure, electrical power grids, banking networks etc. All of these attacks can be disruptive and damaging to every business that uses these systems. Having high-defense IT security and a comprehensive plan for disaster response for your business is no longer something that can be left to do some time in the future. In fact, this needs to have already been done and regularly updated for the ongoing and upcoming threats. Contact Sentree Systems at 317-939-3282 or email info@sentreesystems.com to set up an appointment for a comprehensive IT security review to help mitigate the serious risks that all American businesses are now facing. New privacy and data security rules are now in effect for any company that has some of its operations in Europe or has some customers from there. The European Union (EU) passed a law called the General Data Protection Regulation (GDPR) that requires businesses to give EU customers more control over how their personal data is collected, what permissions are required for a company to use it, and what can be done with the information. This law went into effect on May 25, 2018. Any American company that has customers from the EU needs to be in compliance with the GDPR regulations. It is likely that over the next few years similar regulations will be imposed by the U.S. government on companies in the USA as well. The GDPR law is in response to the continuing problem of data breaches being experienced by many companies including large online retailers and companies that are tech giants. Facebook got into serious trouble over the Cambridge Analytica data hack of its system. Under the GDPR rules, any company that has any data on any person from the EU must notify regulators within 72 hours of the discovery of a major data breach. This means that even U.S.-based companies need to be in compliance if they have an office in the EU, share data with a company there, or have online customers from the EU. Another new GDPR rule requires companies to make it very easy to opt-in and opt-out of data collection. Companies who fail to do this correctly face a fine of up to 4% of their annual level of global sales or about $23.5 million, whichever is a greater amount. The new GDPR rules are considered the best practices. Many American companies are taking the proactive stance to be in compliance with GDPR regulations even if they are not required to follow the GDPR rules by law. Work with the experts at Sentree Systems Corp. to find out how to change information collection, storage, and usage procedures to be in compliance with the new GDPR rules. When it is used properly, encryption is a valuable tool to help reduce data security breaches. Most business owners and C-level executives know something about the general topic of encryption; however, comprehensive data security reviews consistently show security problems that can be reduced by following the best-practice strategies regarding how to use encryption. Just because data is encrypted, does not necessarily mean it is protected. There have been many examples of encrypted databases being subject to data breaches because even though the database was protected with encryption, those that had the encryption keys that are needed to read the data failed to protect their encryption key. An example of this problem occurred in the loss of millions of dollars of cryptocurrency. This happened because the encryption keys, which are the proof of ownership of those assets, were hacked and stolen. They were kept in a database that was not secured. Since the ownership of cryptocurrency is semi-anonymous, protecting the encryption keys is the only way to control the assets. If the keys are lost or stolen the cryptocurrency is simply gone and nothing can be done about it. To properly implement a comprehensive plan for using encryption effectively, one good strategy is to conduct an IT security review by Sentree Systems that focuses on implementing encryption on a network and protecting the encryption keys. Data security is a viable part of protecting the operations of any business. Think of this analogy. Even if you own a one-bedroom/one-bath home, which is the first home you ever purchased, this does not mean you be lackadaisical about home security. Having an alarm system with solid locks for windows and doors is just as important for your home as these things are in a luxury mansion. Some might even say since your first home probably represents the biggest investment you have made so far in your life, it needs more protection than the luxury mansion owned by a wealthy family that already owns many other homes. The same logic applies to your business. It used to be that IT security was so expensive that only the larger businesses could afford it. Granted, even now, large businesses spend enormous amounts of money on data security efforts because protecting the data from security breaches is so important. However, just because a small business has a modest budget for IT services, this is no excuse for not having a service contract with a high-caliber security firm that specializes in IT data protection. There are economies of scale that help keep the cost of IT protection modest when using a skilled firm. The security specialists concentrate on data protection. That is what they do best. They think about this 24/7 non-stop on behalf of their clients. Things that they notice affecting other small business clients are applicable for almost every customer they help. Just because a business is small does not mean that IT security should be inadequate. Being a small business is not an excuse for having poor IT security policies. The cost for failed security measures can be the loss of the entire business. It is very unwise to risk this. The key to success is NOT to rely only on in-house staff that does not have the time, energy, experience, and expertise to provide state-of-the-art IT security. Instead, outsource these tasks to a company like Sentree Systems and think of the investment as being similar to having a business insurance policy.